This breathtaking 3 Light Wall Sconce with Chrome Finish is a beautiful piece from our Isla Collection. With its sophisticated beauty and stunning details, it is sure to add the perfect touch to your dicor. 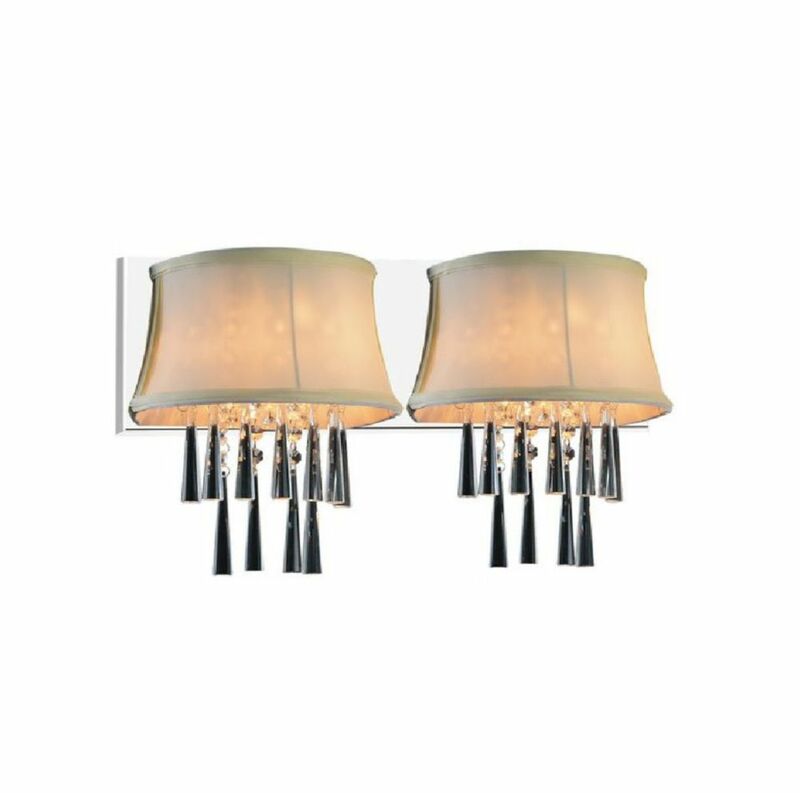 This breathtaking 2 Light Wall Sconces with Chrome Finish is a beautiful piece from our Margie Collection. With its sophisticated beauty and stunning details, it is sure to add the perfect touch to your dicor. This understated, masculine pendant illuminates softly from beneath an oval Belgian linen sand shade. With its bronze framework, the Strada collection is perfect for both classic and transitional spaces. Audrey 21-inch 2 Light Wall Sconce with Chrome Finish This breathtaking 2 Light Wall Sconce with Chrome Finish is a beautiful piece from our Audrey Collection. With its sophisticated beauty and stunning details, it is sure to add the perfect touch to your dicor.